Google has updated their mobile navigation menu to add a slider navigation feature for iPhone and Android users. To activate it, click on the navigation icon as the arrow points to below and the new black navigation menu will slide out from left to right, across the screen. Google announced this on Google+ yesterday. As you can see, it also has the Google+ notification menu and a share button right there. The navigation menu itself scrolls up and down, independent of the right side of the screen. Today we're rolling out a new look for the mobile Google homepage. Now, when you tap the new menu button in the upper left you'll see a sidebar with other popular Google products, helping you get to them quickly and easily. If you've upgraded to Google+, you'll also see your Google+ notifications and the share button. Visit www.google.com on your Android phone or iPhone to give it a try, and let us know what you think in the comments! 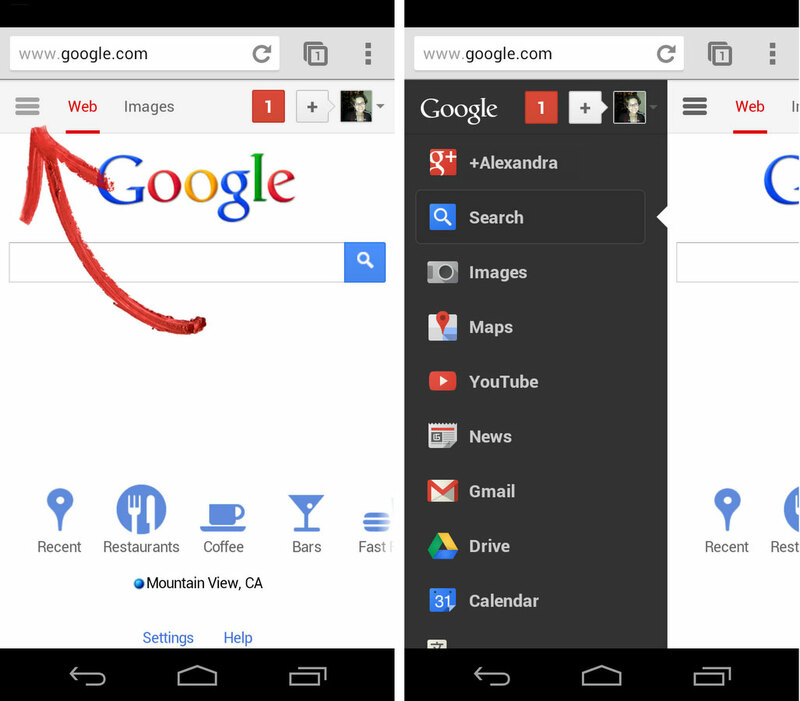 Do you like the new Google mobile navigation menu? Personally, I do.